We’ve been going about it all wrong. I’ve figured out a new way to grow grass. Simply don’t try. It’s along the same lines as reverse psychology. It seems totally unlikely, but trust me. It works. Get a bunch of bales of grass hay. Four or five hundred worked well for us. 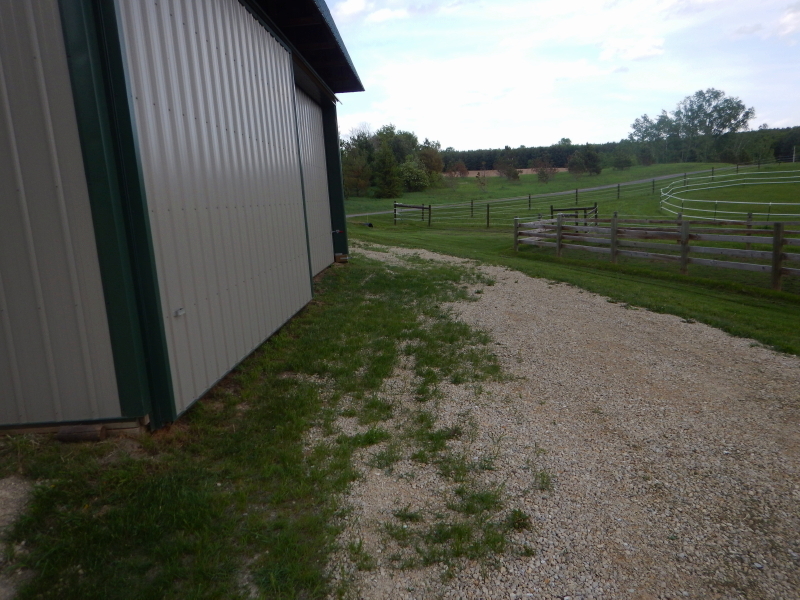 Move them from one place to another, and then sweep all the leftover debris onto a hard gravel surface. Next, drive back and forth across that surface over and over. Also, relentlessly bake that spot in the afternoon sun. Never water it beyond what happens to fall from the sky as rain. That grass is growing in the driveway where we don’t want it, many times better than it grows in areas where we actually want lawn grass. In addition, it is all grass. No weeds. In the lawn, many spots have more weeds and other odd ground cover growing than we have grass. But not on the driveway. Noooooo. Just wonderful blades of grass there. It’s not even simply a matter of not trying; we have actively sought to discourage grass from growing there, but to no avail. I really don’t like mowing our gravel sections of driveway. Unfortunately, I can’t avoid it. The grass grows too well there.